Antezole liquid oral suspension is easy to dose deworming treatment. The liquid formula treats roundworms and hookworms in dogs, cats, puppies and kittens effectively. The anthelmintic formula works efficiently in removing worms. When given on regular basis, it helps in prevention worm infection in dogs and cats. 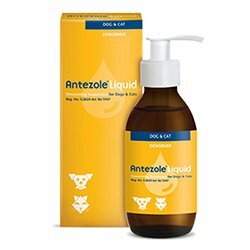 Antezole liquid suspension is an oral dewormer for dogs and cats. The main ingredient is Pyrantel pamoate. The potent formula works strongly on roundworms and hookworms. It kills and eliminates these worms without causing any harm to the animal. It is crucial to deworm every 3 months to control the transfer of worm infection to humans, especially hookworm infection. The liquid suspension comes in a bottle with a pump dispenser. no more irritable worms in my cats when antizole is with me. outstanding result. 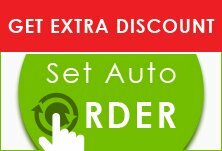 This was really easy to use, my pet didnt made any fuss and just took it. It's quite easy compared to tablets as there was no pulling and throwing. A good wormer at a good price. No more worms and easy to be given suspension. Specially for smaller pets.